WASHINGTON — A group of Senate Democrats want acting Defense Secretary Patrick Shanahan to reconcile official statements that troop deployments to the southern border are not hurting military readiness following a recent warning from the commandant of the Marine Corps that the deployments are causing problems. “These discrepancies require an explanation, and to the extent the southern border deployment is causing readiness concerns, they must be addressed immediately,” the senators wrote to Shanahan in a letter obtained by Defense News ahead of Marine Corps Gen. Robert Neller’s testimony before the Senate Armed Services Committee on Tuesday. The letter — led by 2020 presidential candidate Elizabeth Warren, D-Mass. — was co-signed by Senate Armed Services Committee ranking member Jack Reed, D-R.I.; 2020 presidential candidate Kristen Gillibrand, D-N.Y.; Jeanne Shaheen, D-N.H.; Richard Blumenthal, D-Conn.; and Tammy Duckworth, D-Ill. All are members of the committee. Four days after Rapuano sent a letter to Warren, Neller wrote in a memo, made public in mid-March, that nine unplanned factors were causing budget shortfalls and readiness problems. Deployments to the U.S.-Mexico border were among them. Neller wrote that the “unplanned/unbudgeted Southwest Border Operations” and “Border security funding transfers,” along with the other factors, were “imposing unacceptable risk to Marine Corps combat readiness and solvency.” As a result, joint military exercises with allies would be canceled “at a time when we are attempting to double down on strengthening alliances and attracting new partners,” the commandant wrote. One of the other key factors was hurricane damage, and Neller said last week through Twitter that Congress will approve a request to reprogram $400 million to address that. The Marine Corps says it sustained about $3.5 billion in damage at Camp Lejeune as well as surrounding facilities in North Carolina from hurricanes Michael and Florence. The calls for emergency funding come amid debate between the Trump administration and Congress over the White House’s proposal, enabled by the president’s emergency declaration, to repurpose billions of dollars in military construction money to help extend a wall at the U.S.-Mexico border. President Donald Trump has praised troops for their help at the border, calling their presence “necessary” and saying that “if we had a wall, we wouldn’t need the military." While Democrats generally have questioned the U.S. military presence along the southern border, some Republican lawmakers and Pentagon officials have said the deployments are not improper or even unusual, noting that past presidential administrations have sent troops to assist border patrol agents. 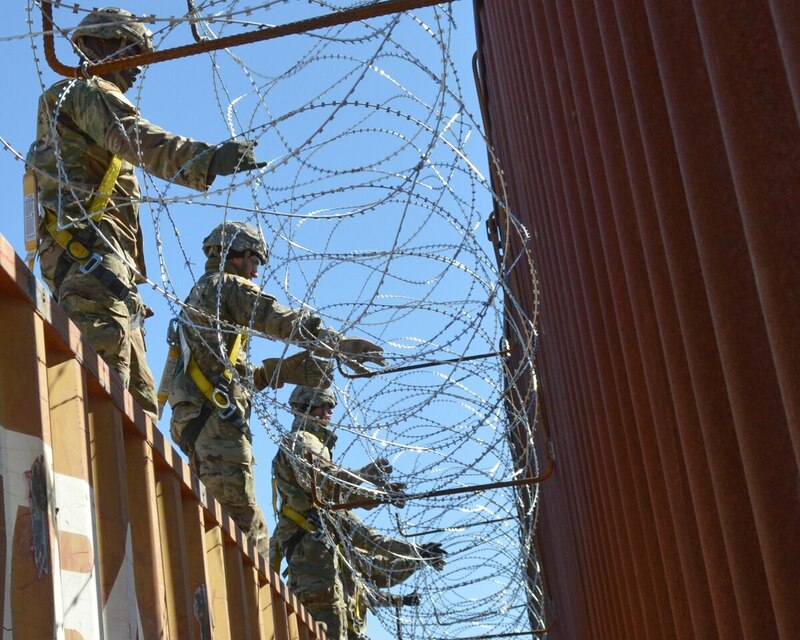 The Pentagon has acknowledged more than 5,000 military personnel have been deployed to the southern border. The Pentagon spent $235 million on the troops there in fiscal 2018, and it estimates it will spend $448 million in fiscal 2019. Under pointed questioning from lawmakers in February, the top U.S. general for homeland defense said he sees no military threat coming from the southern border with Mexico, but his focus is on “very real” threats from China and Russia.